Whether you are hosting a party with your closest friends or attending someone else’s shindig in the hopes of meeting new ones, it is always a fun idea to have something unique for people to do together. With the Silicone Shot Glass Ice Tray Mold, you can be the life of the party and party on in style with ice-cold shooters. There’s no better time to break out shot glasses made from ice than when a party is getting hot. 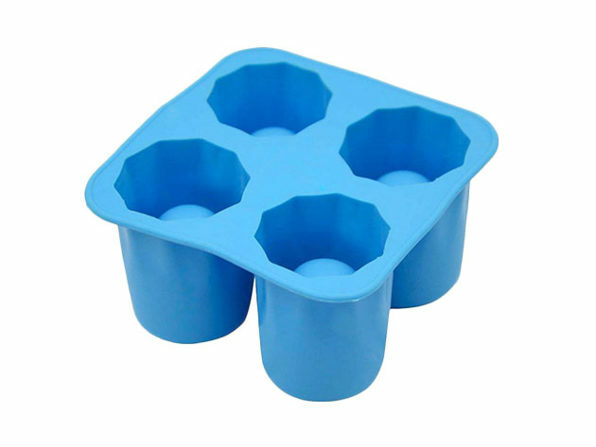 This blue ice tray mold freezes up to four shot glasses at a time to give you an ice-cold shooter right when you want it. Even cooler, it can freeze your favorite juice or any other drink to create flavored shot glasses. Meaning, when you are feeling extra creative, it’s simple and easy to spice things up at any celebration with unique, flavorful shot glasses. Pick up the Silicone Shot Glass Ice Tray Mold for $14.99, 40 percent off its original price, in The Daily Caller Shop.